One full fee scholarship will be available. This award is only available to applicants who are liable to pay academic fees at the international fee rate. UK and EU candidates should apply for the Home/EU award. These awards are not open to individuals who have already been awarded a Doctoral degree. 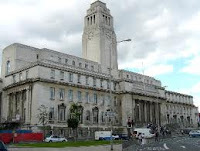 The completed form should be returned to [email protected] or the Postgraduate Office, POLIS, University of Leeds, Leeds LS2 9JT by no later than 1st June 2012. Applications submitted after that date may be considered subject to the availability of funding. Successful candidates can expect to be notified of the outcome of their application as soon as possible following the closing date. Completed forms must be returned [email protected] or to the POLIS Postgraduate Office, University of Leeds, Leeds LS2 9JT by 1st June 2012. Please ensure that you use the space provided on the form – attachments are not permitted and all will be disregarded. In order to be eligible to apply for one of the above POLIS Postgraduate Research Scholarships, applicants MUST first submit a research degree study application form and be in receipt of a University BANNER ID number. Applications without a valid University Banner ID number will be rejected. Demikianlah informasi mengenai POLIS International Scholarship, School of Politics and International Studies, University of Leeds, UK semoga berguna bagi anda.